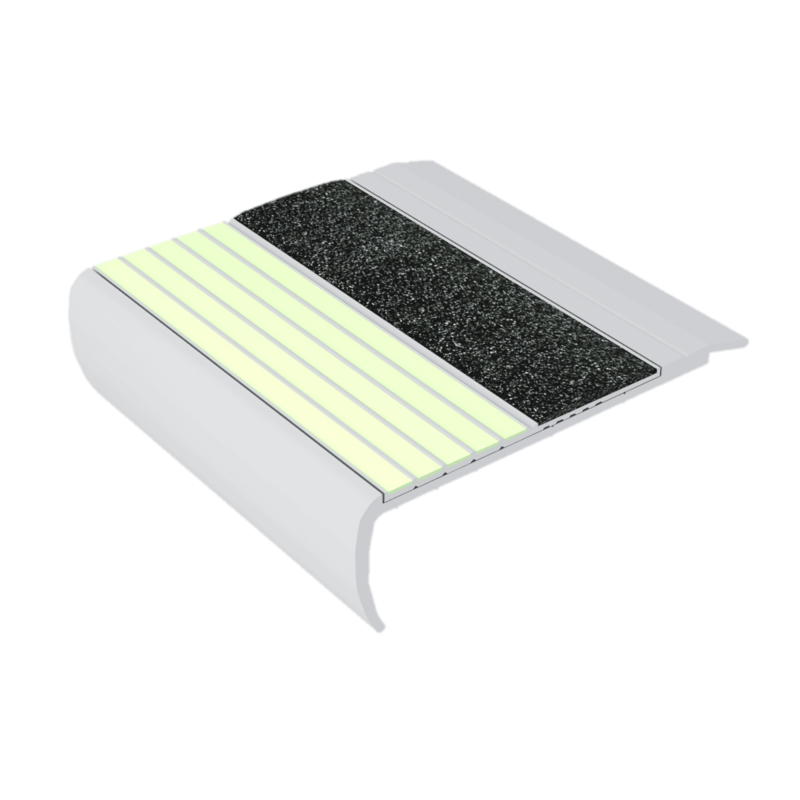 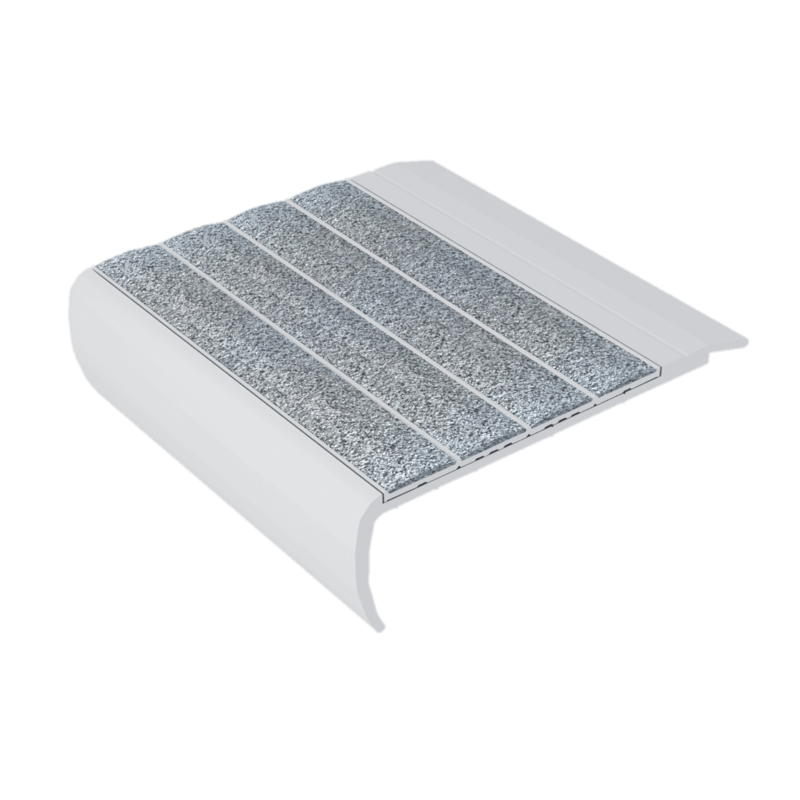 The F8 series is a highly visible aluminium step nosing with a bull nose on the leading edge to fit a range of step edge designs. It will reduce slips and falls and enhance speed of movement in all weather situations whether light, dark or dimly lit. The photoluminescent strip is visible for many hours after the lights go out, having been charged from sunlight or artificial light. 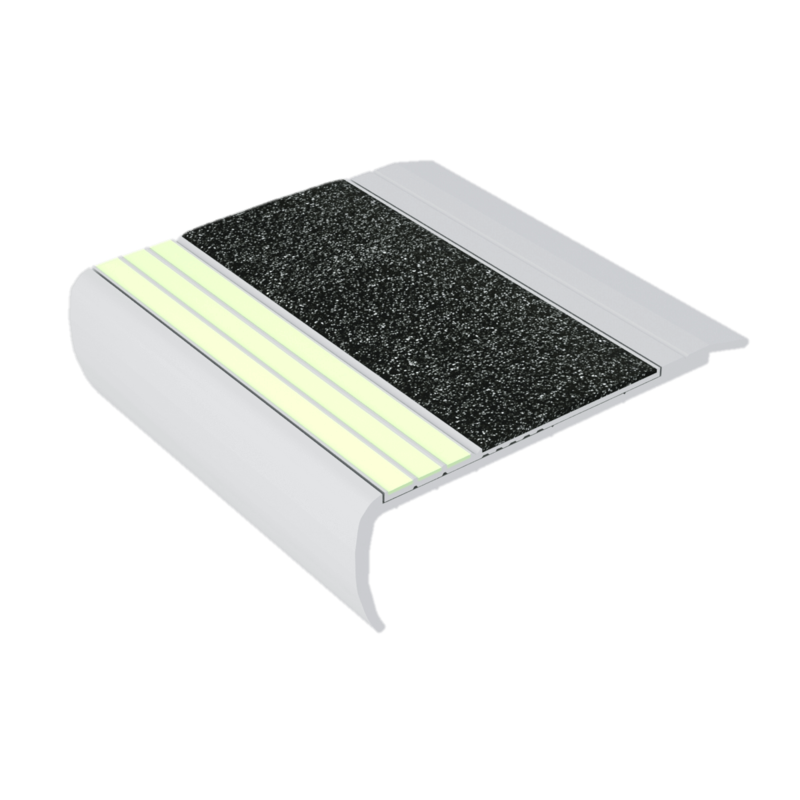 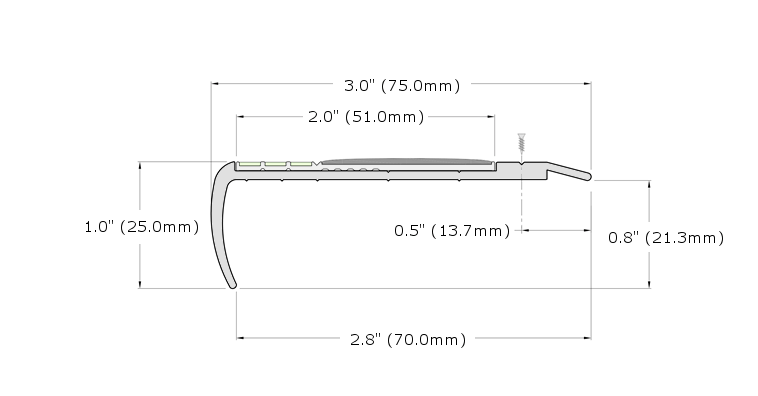 The F8 has a wider insert than the F4171 with 1.4” (35.5mm) of hard wearing anti-slip material and 0.6” (15.5mm) of photoluminescent strip. 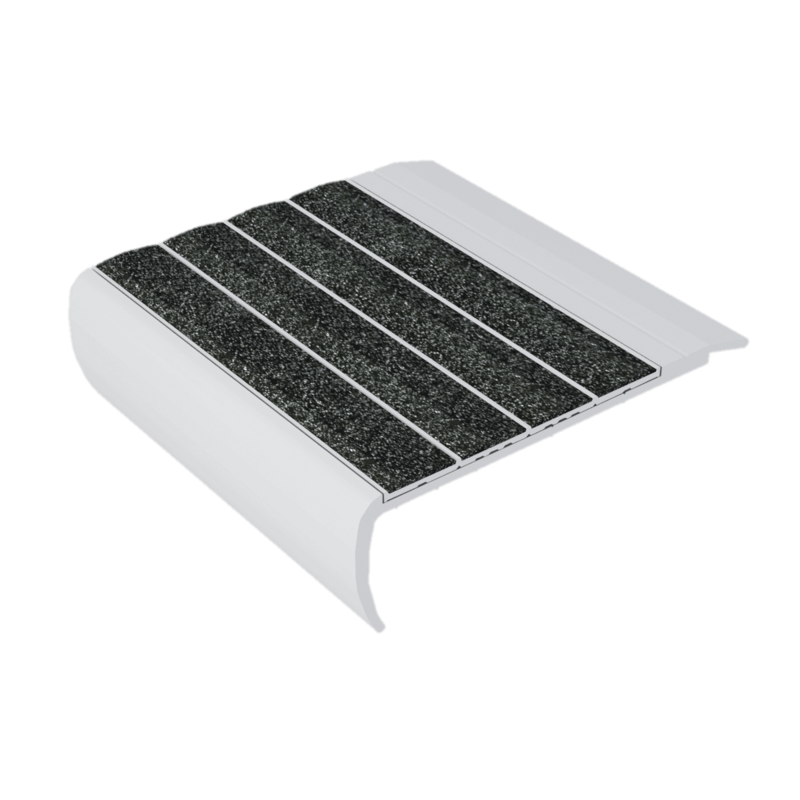 The F8171 can also be fitted over steps with an industrial or commercial type carpet (with no underlay) and up to a quarter inch (6mm) thick.